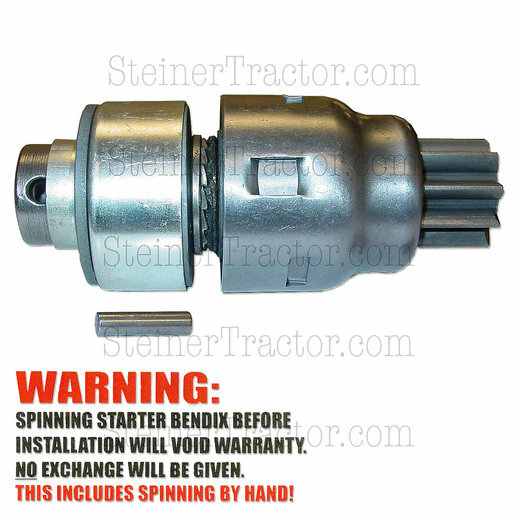 Installing starter Bendix on starter shaft????? I have a Ford Jubilee I need a new bendix. ordered the part from here just fine and it came in. Question after inspecting new bendix however. The pin hole in it to attach it to the shaft. the spring housing is sorta covering just a bit of the hole enough so it blocks the pin a bit. I tried to see if i can push it a bit forward to get the pin in. could not. Anyone else come across this?? the old one the spring is exposed and you have to compress it a bit to get pin out smoothly. How do I do this to get the pin in smoothly. I assume that overlay will have some give so I can insert the pin I may have try harder will look tonight. Meant to get a pick of it to make easier for you all to see what Im talking about. Thank you for any advise Id not explaining properly I will have to get a pic tonight and show you all. A couple of months ago, HoboNC put a post up on this forum with pictures of a jig that he made with a couple of pieces of "all-thread" bolt material and a couple of pieces of flat stock that enabled him to compress the spring easily and install the pin. If you haven't already worked out the situation on your Bendix, you might want to search the archives on this forum for a post from HoboNC from a couple of months ago and look at his invention. ok I saw some other posts on it and it sounds like it will/ should compress a bit like the old one. I will fart around with it im sure It goes back together same.